Definitive Technology announced that the Mythos XTR-50 has started shipping to US retailers. 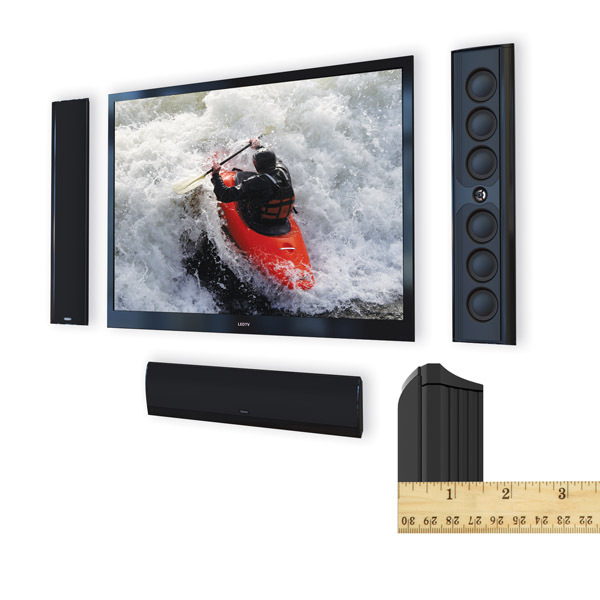 Definitive retailers have eagerly awaited delivery of the 1.5″ deep high performance speaker since its first showing at CEDIA 2009 as it is an ideal on-wall component speaker solution for their customers with ultra-slim TVs. The Mythos XTR®-50 is an ultra-thin (1.5″ deep) on-wall, on-shelf loudspeaker that delivers a level of high performance previously thought impossible in shallow enclosure speakers. 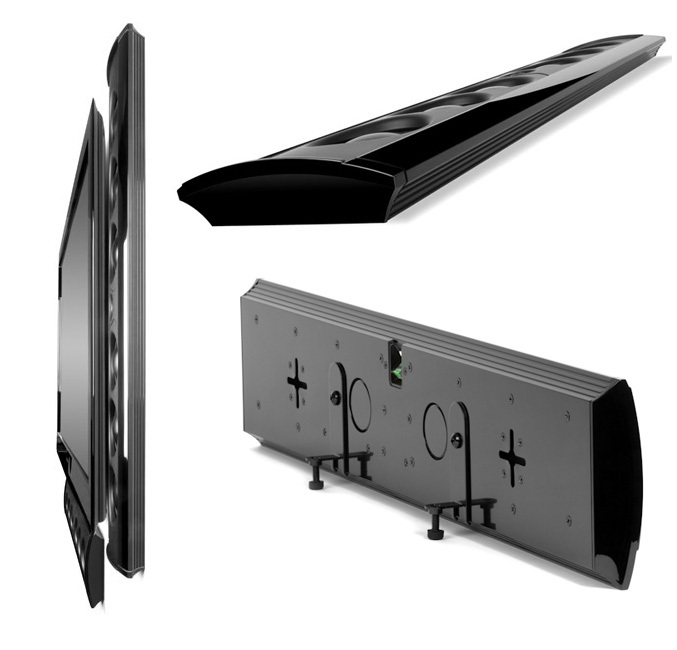 Definitive developed the Mythos XTR-50 to look perfect on a wall or shelf next to an ultra-thin TV. 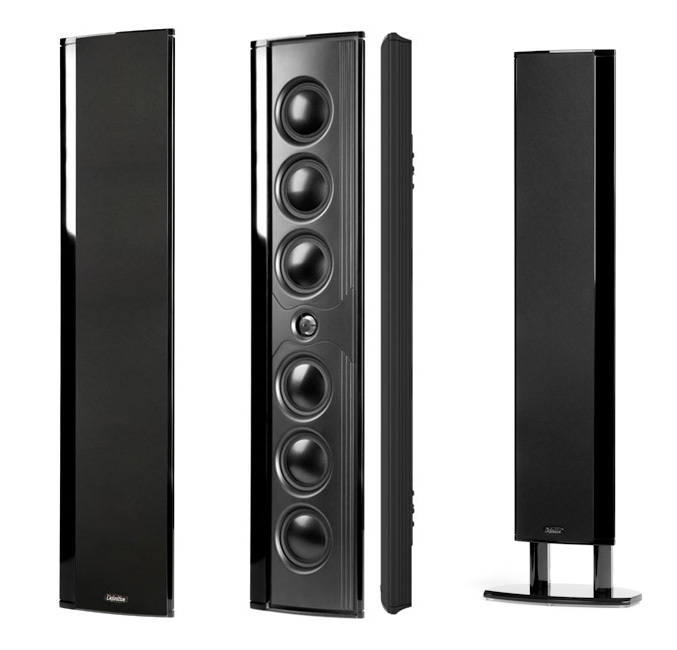 It combines the thin profile of “panel” speakers with the high definition detail, bass, and dynamic range performance of a high quality dynamic speaker. The XTR-50 was named an International CES Innovations 2010 Design and Engineering Awards Honoree in the High Performance Audio category. The Mythos® XTR®-50 comes supplied with a wall mounting bracket that allows either vertical or horizontal orientation with a total installed on-wall depth of only 1.6 inches (40mm) as well as smoked glass stands for vertical table-top use and horizontal shelf placement. Whether mounted on-wall or on shelf, used as Left and Right, Center or Surround channel speakers the Mythos XTR-50 looks terrific and sounds astonishing. The Mythos XTR features a hand polished aircraft grade Aluminum extruded enclosure that measures 27″ H x 6″ W x 1.5″ D (68.6cm x 15.3cm x 3.8cm), the perfect size for 46″ – 55″ TVs. The Mythos XTR-50 has an MSRP of $699 and is now shipping. Three additional Mythos XTR speakers are planned for delivery later in 2010.